DHS Forum » Forums » General Topics » Older Tractomas, or what? The truck is in Columbia in this photo. Although the cab doesn't look like a Renault to me, I'm not an expert. Can anybody offer any information or other photos? 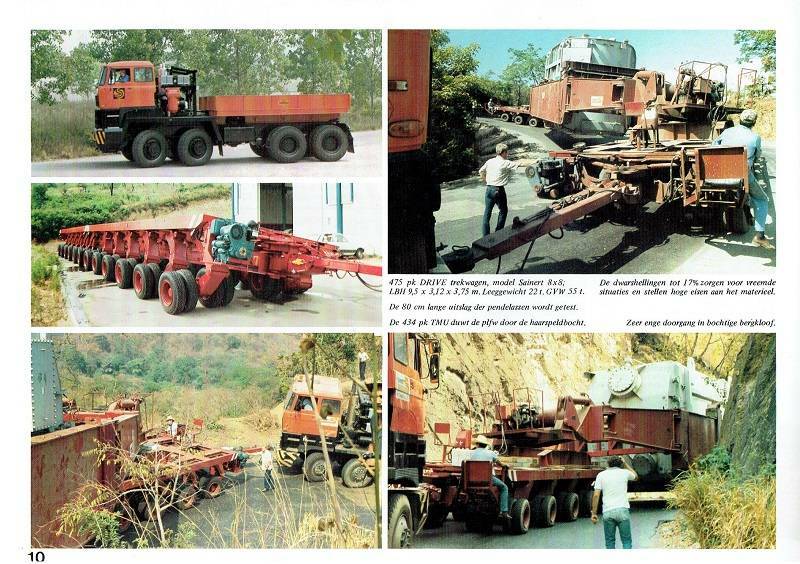 IRTEX was a consortium made of 6 heavy haulage contractors and special truck builders: SCTT in France, Translast in Germany, Rigging International in the US, Sainert, TMU and DRIVE in Spain. 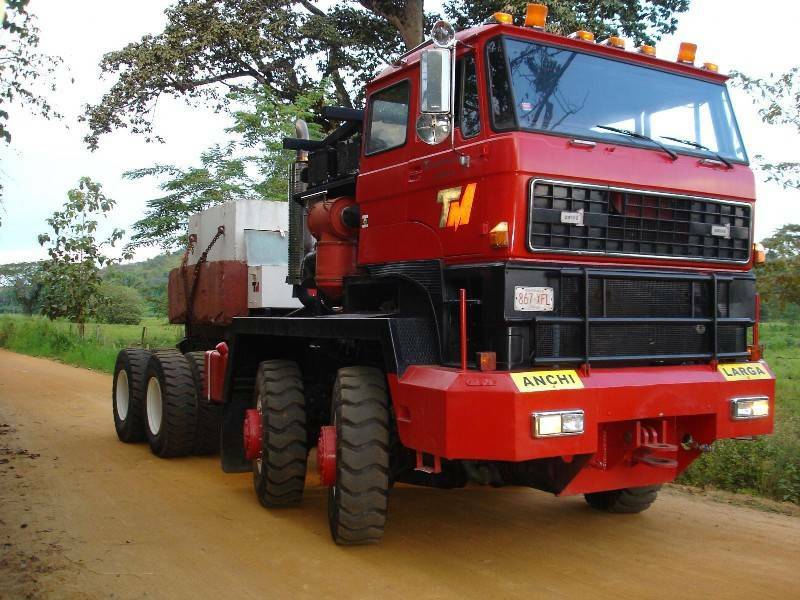 Similar trucks have been built, in small numbers, by Ponticelli in France, TMU and DRIVE in Spain. 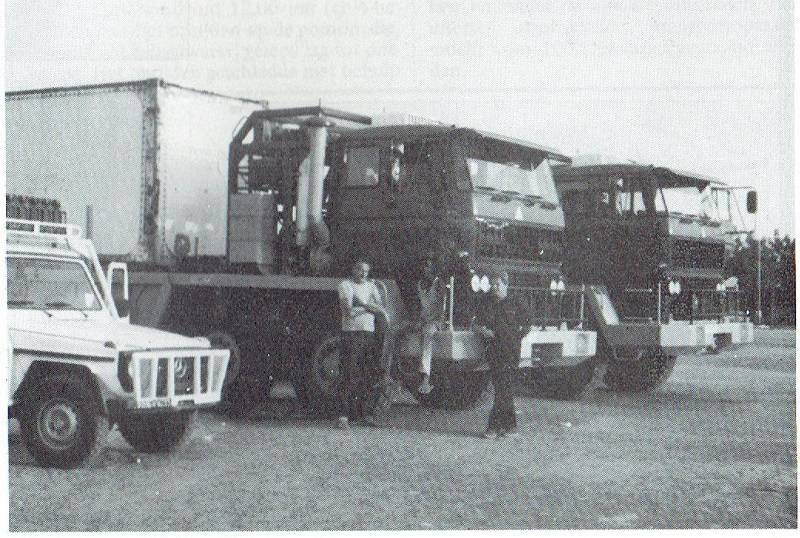 Their trucks remained there, with local haulage companies, after completion of that job: I suppose that your picture was shot somewhere later in Venezuela, or in South America. 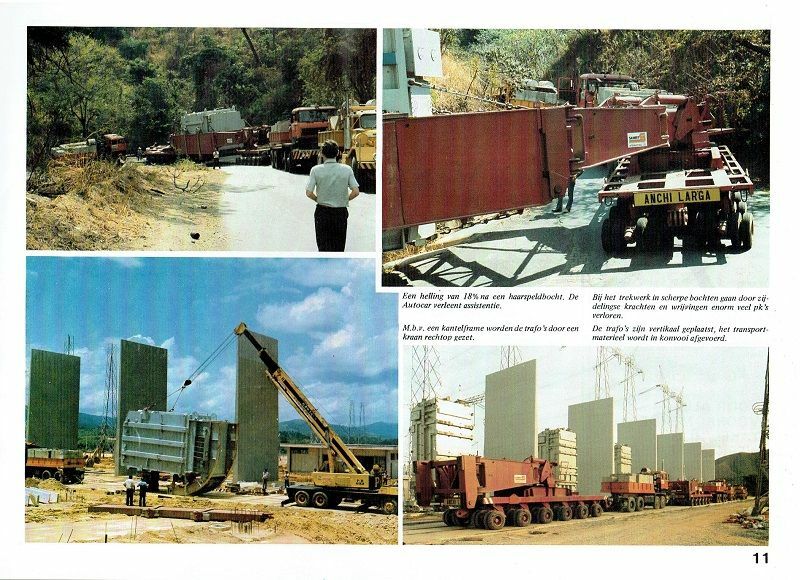 Pictures above from Speciaal Transport Magazine (May 1985). 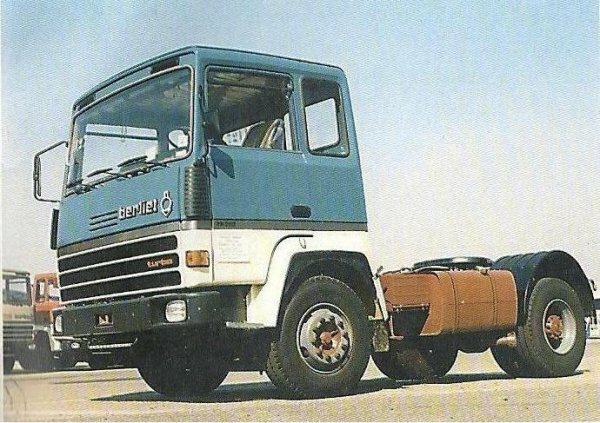 The cab is from Daf 2800 - 3300 series (model 241). Thank you for the information and photos! The photo was taken in Columbia according to the caption. 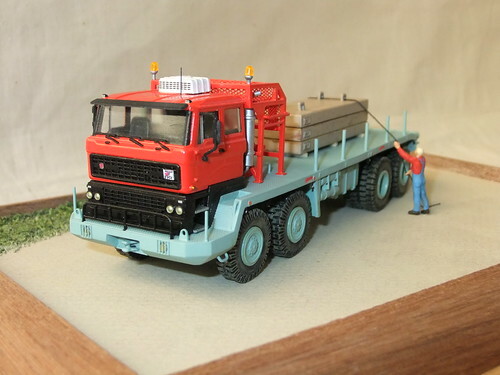 Have there ever been any 1:50 models produced of these trucks? Thanks for the cab ID! 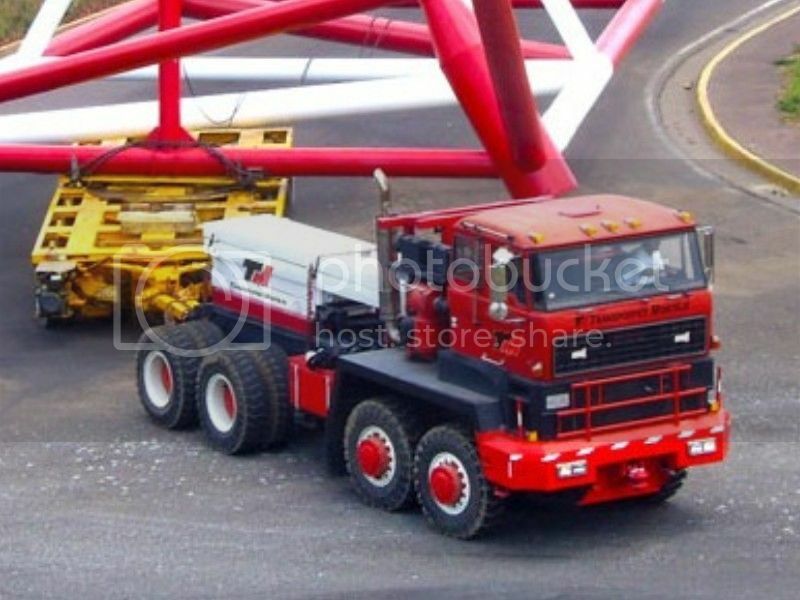 attached a picture of the model truck Irtex 8x8 in oilfield version in 1/50. Built from a friend of mine. 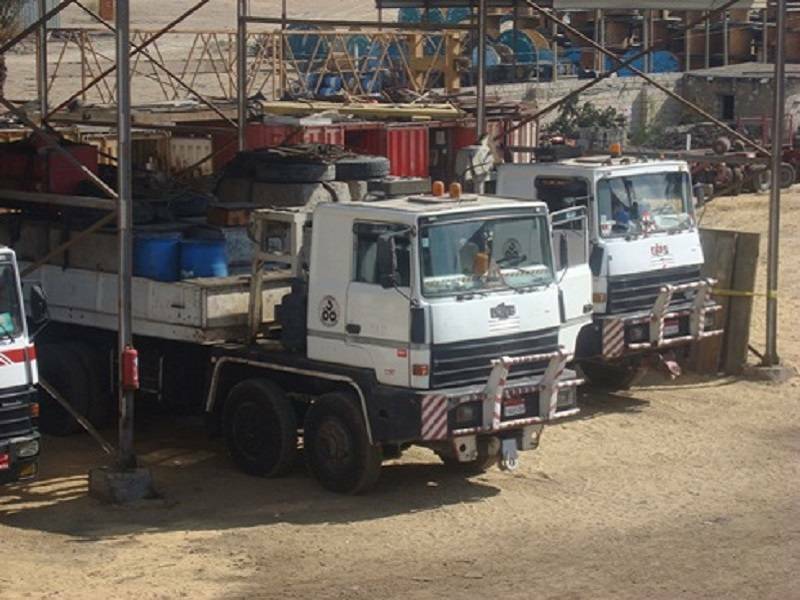 According to Egyptrans website (the heavy haulage company using these trucks), the egyptian DRIVE tow trucks are 8x4 units. 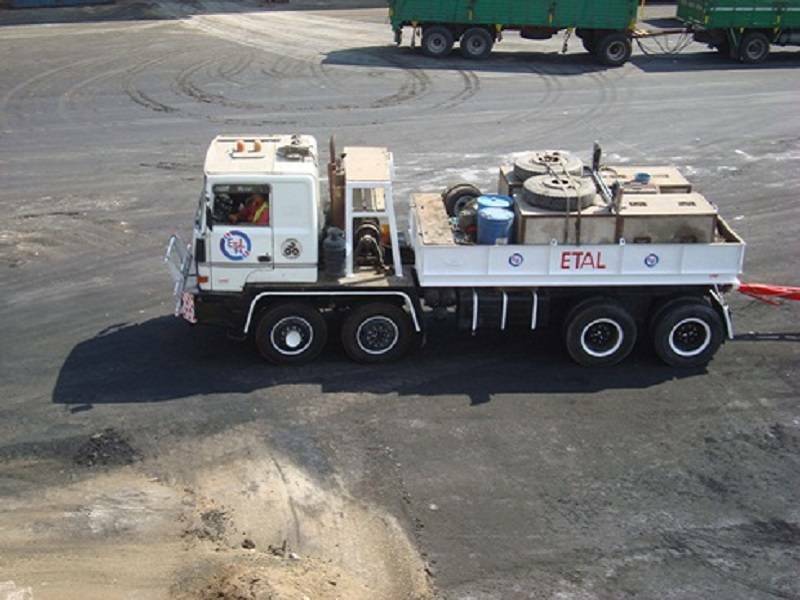 The Renault cabs are used mainly by Nicolas Industrie on the Tractomas. and Man F8 (1967 - 1987).